This smoothie has only 4 ingredients but it is packed full of goodness. 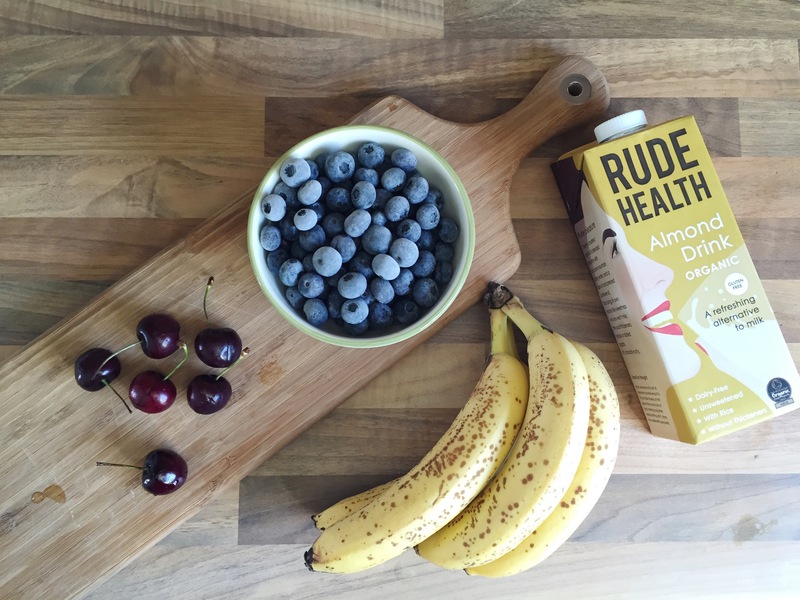 Blueberries have a high fibre content, which is great for boosting your digestion & they also contain a huge amount of Vitamin C. Eating these little super berries will give your gut & your skin some TLC. – Blend all of the ingredient with a hand blender or smoothie maker. This smoothie is quite thick so you can add a little bit more milk if you want to make it lighter. This easy Peasy recipe takes about 60 seconds to make. 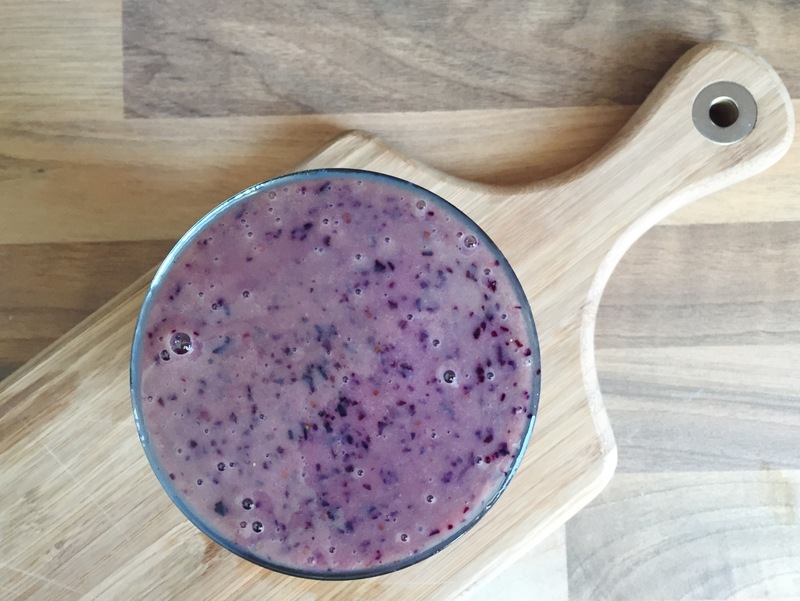 If you often head out the door in the morning without breakfast, then try making this smoothie in the evening, you can keep it over night in the fridge and it’s ready to go in the morning. Bon appetite ! Previous PostStretch & Strengthen ! Next Post5 Reasons to try Reformer Pilates.